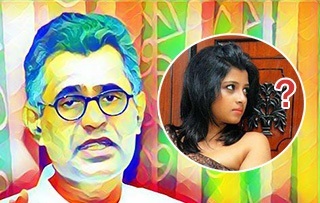 The Colombo District Court yesterday questioned Minister of Megapolis and Western Development Patali Champika Ranawaka in connection with the accident that took place in Rajagiriya last year, which resulted in two youths being injured as well as about an issue relating to a popular film actress. Ranawaka has filed a case in the Colombo District Court against the Secretary to the National Electricity Workers' Association (NEWA) Ranjan Jayalal demanding a sum of Rs 500 million from him by way of damages caused by comments made by the latter at a press briefing and having published a news item to that effect thereby bringing him into public disrepute. The case to this effect was taken for hearing at the Colombo District Court last morning before Chief District Court Judge Sujeewa Nissanka. In their cross examinations, Counsel for the respondent stated to the plaintiff:– You have claimed that factors emerging from this incident have tarnished your public image. However, did you have any good standing in the public eye to be so tarnished? Minister:– I do not accept it. Respondent's Counsel: – Weren't you removed as Minister of Power and Energy back in 2012 due to the failure of the CEB? Minister:– I reject that assertion. Respondent's Counsel: – When one considers the accident that took place in Rajagiriya last year and your name being linked to stories concerning a popular actress, isn't this case a minor incident? Minister :– The media publishes various stories. However, I reject them. Respondent's Counsel :– When there are several charges against you in society, haven't you filed this case with the aim of gaining cheap political mileage? Minister :– There is no free and independent media in this country. There aren't any journalists of that ilk either. There is only a media mafia. Mud is flung across social media networks and websites. There is no use of complaining to the Press Council. The hearing of further evidence in the case was put off for 7 April.